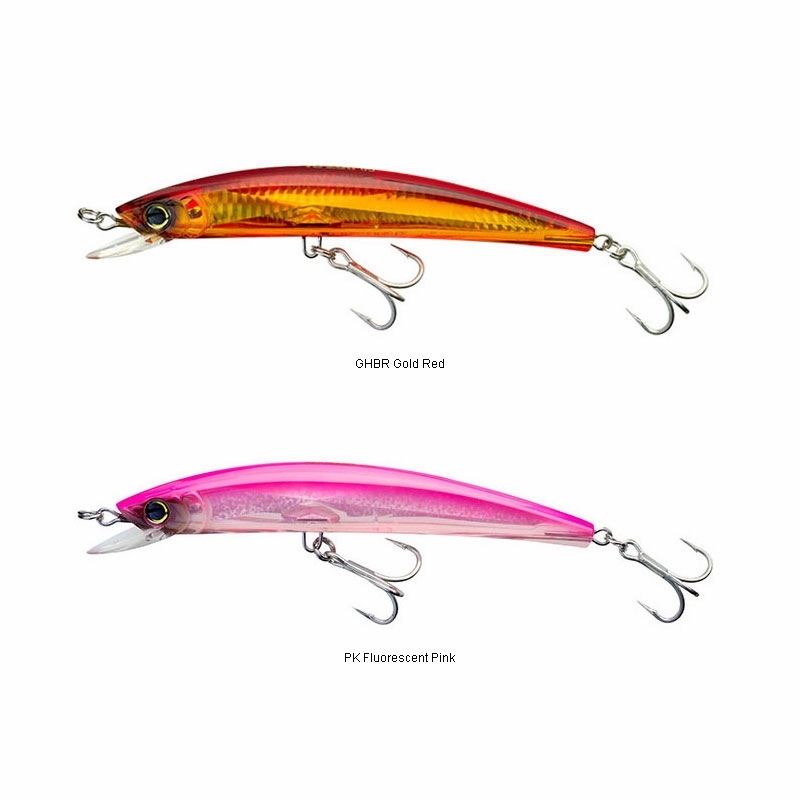 The Yo-Zuri 3D Crystal Minnow Magnum has a 3D Prism finish which reflects light in all directions. Fish are attracted from far away due to light refraction and the 3D Prism finish. The Yo-Zuri 3D Crystal Minnow also has an improved action, a quick, sharp darting response, when compared to the original Crystal Minnow. And the Yo-Zuri 3D Crystal Minnow Magnum is made for big fish with through wire body construction. Great salt water plug. Quality splits and hooks. I bought this to have a slightly wider swim pattern then the sp minnow and use it for a search pattern. I must admit while I'm Shopping for lures its very personal and i take my time. Sometimes it make take me an hour to pick one. However I noticed that I'm attracted to unique color schemes. So when laid my eyes on this 3D Crystal Yo-Zuri Minnow. Then as we call it the School Bus Bomber lure. I always have myself on a Cast count. ProsOut fishes the rest . Very good Lure. 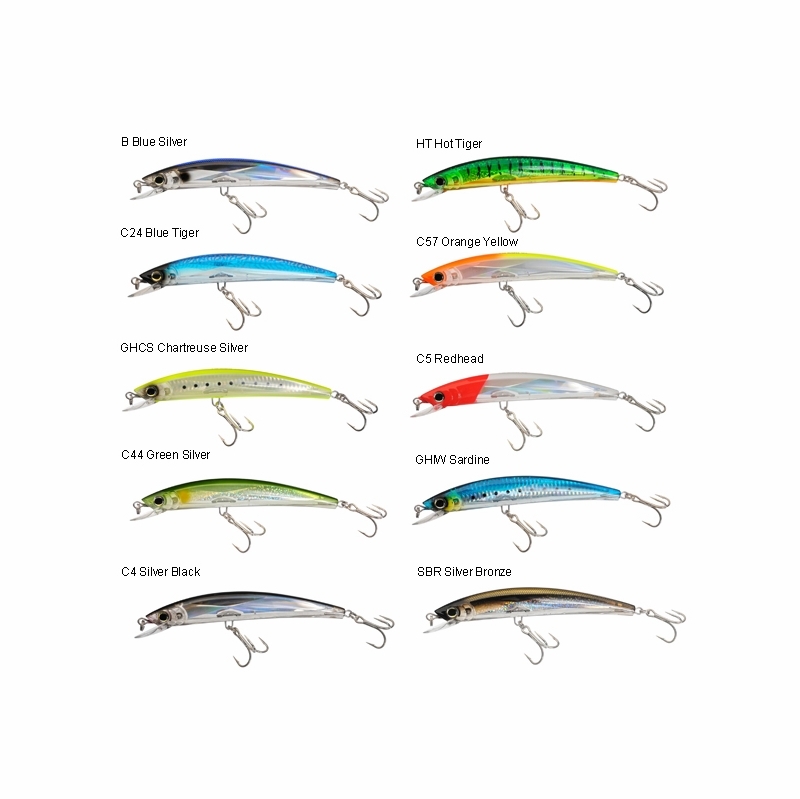 Very good trolling lure , size is good for kings, color blue works well in gulf Destin area, spanish and bonito , jacks and dolphin have taken this lure also. Stronger hooks on this magnum than the other sizes, a very nice bait that runs fairly close to surface. a few feet down...This lure puts fish in the box. 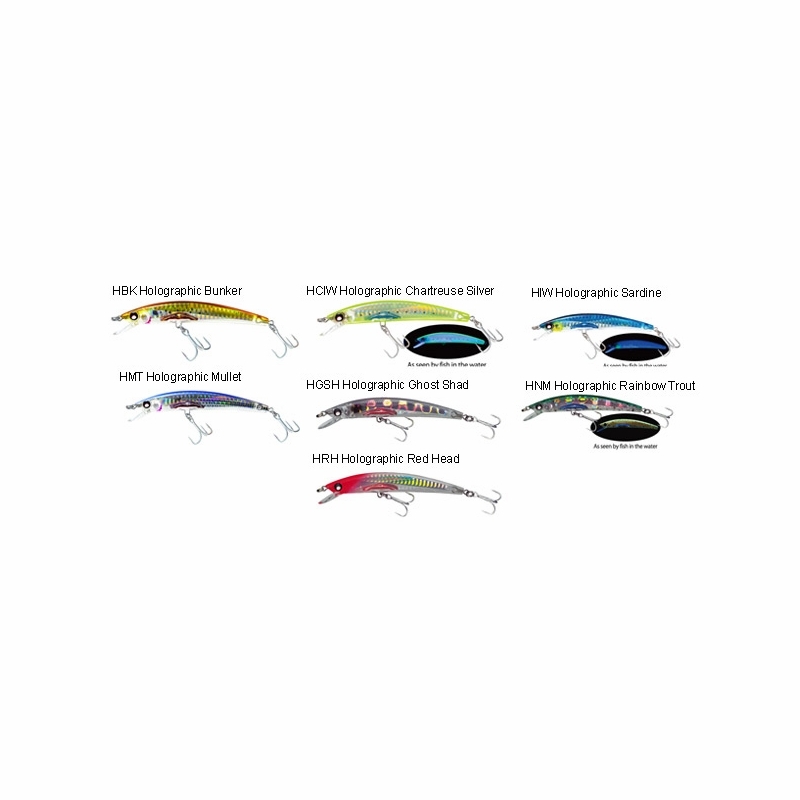 I use the crystal minnow magnum almost exclusively for catching striped bass and bluefish and it has never let me down. It casts well and lasts forever. Unlike many other lures because of the way its 3d there is no paint job to chip off. The hooks that come on it are also always sharp out of the box and I have yet to have one bend on me. Not to mention it flat out catches when almost nothing else will. I think part of it has to do with the attack point in the lure since 9/10 times when i catch a fish, they either swallow the whole thing or its the attack point in the center of their mouth. 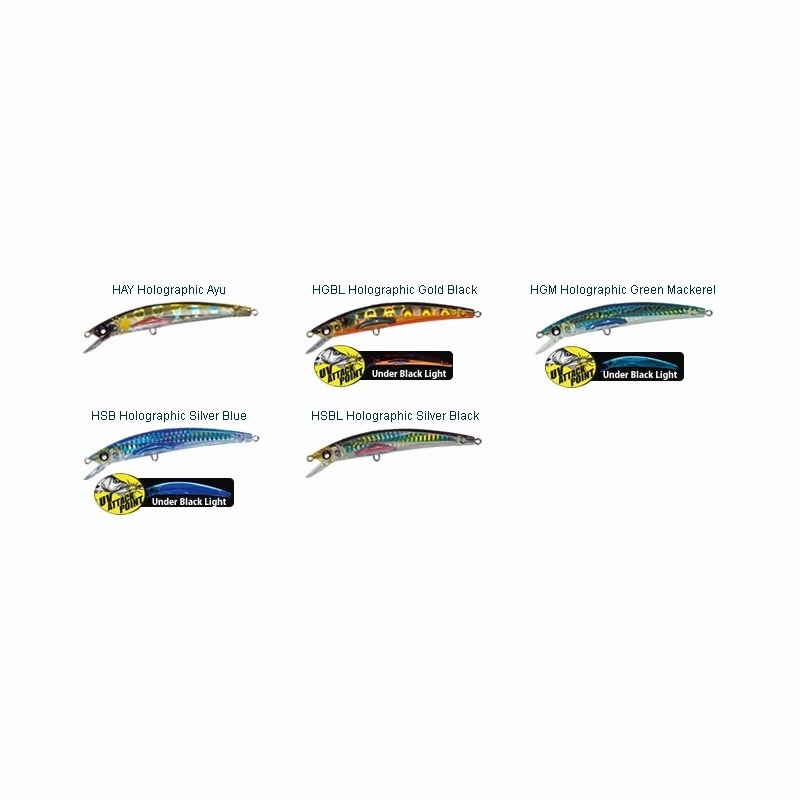 For an extra $10, you get a bigger lure with some extra flash for murky water. Otherwise Ill stick w Bombers and SPs. But definitely worth keeping one around. I haven't had a chance to fish this yet I'm up north way up! But I did a close examination of this plug and found it very well made ,almost built puff. 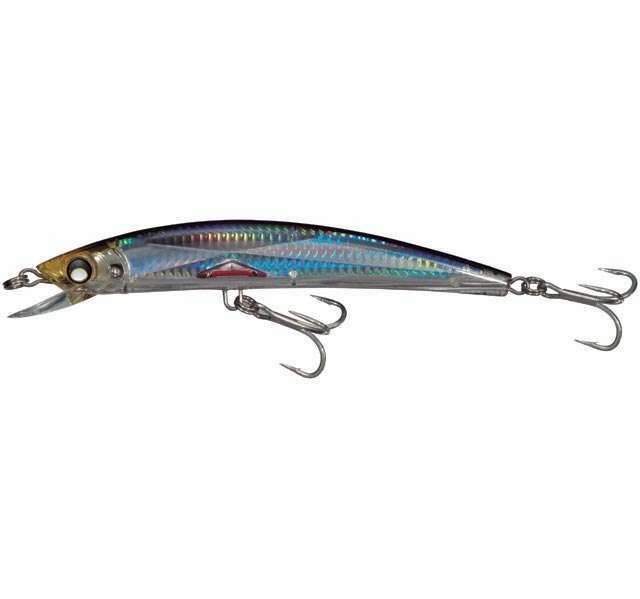 It is bigger than a SP minnow and has a single baring just behind the eye's that is surprisingly loud. IT feels like it should cast very well too. It has good reflection also but doesn't have weight transfer system. So far I'm pleased ,looking forward to some good hook-ups. 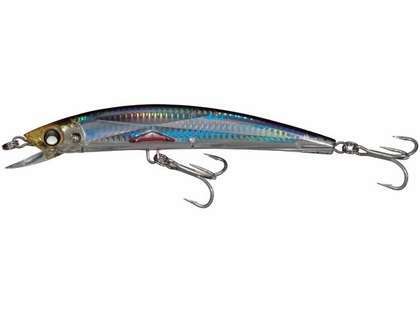 What size saltwater hook is on this lure? I need to replace the hooks but I can't find the saltwater hook size on any of the descriptions Thanks in advance!